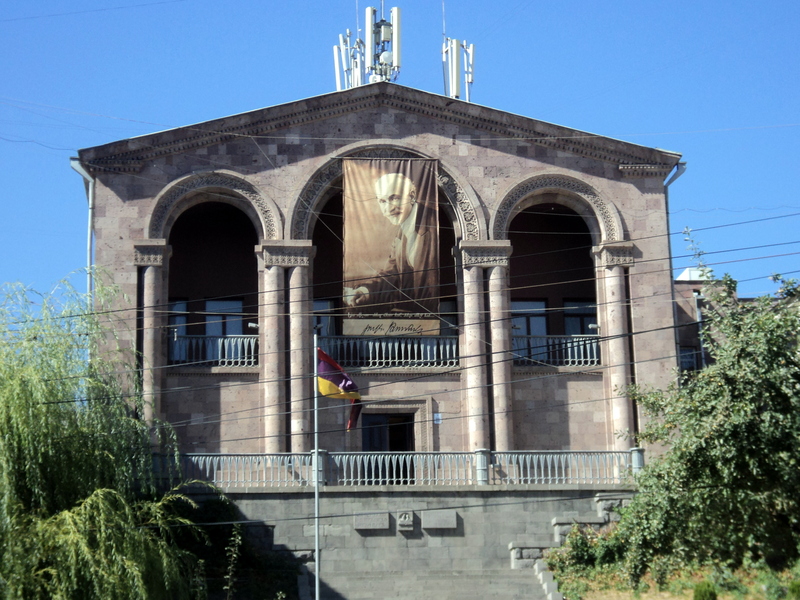 Hovhannes Tumanyan Museum is situated on Saryan street 17. It was opened in 1953, founder and first director of the museum was the daughter of the poet A. Tumanyan. In the museum is recreated the environment in which H. Tumanyan lived and worked in Tbilisi from 1900 until his death in 1923. His things are collected and the interiors of the dining room, living room and office of the poet’s home in Tbilisi are recreated. The museum has a personal library containing about 8000 volumes, concerning Caucasian studies, Armenian studies, history, culture, religion and folklore of various nations. The library is open to researchers of the work of the poet. In the exposition, there are numerous copies of manuscripts, photographs, original illustrations to the works of artists Roth-tera, G. Yeritsyan, G. Khanjyan, A. Grigoryan devoted to Tumanyan. There is also a part of the stage design of the opera “Almast” on libretto of Tumanyan, performed by M. Saryan – sketches of costumes, scenery.